Thanks to everyone who participated in our inaugural Birding Blitz. We had an excellent turn-out of 27 skilled and motivated bird counters to survey Polk County. Our teamwork generated 436 checklists, more than doubling the current year's total Polk checklists from observations away from bird feeders. 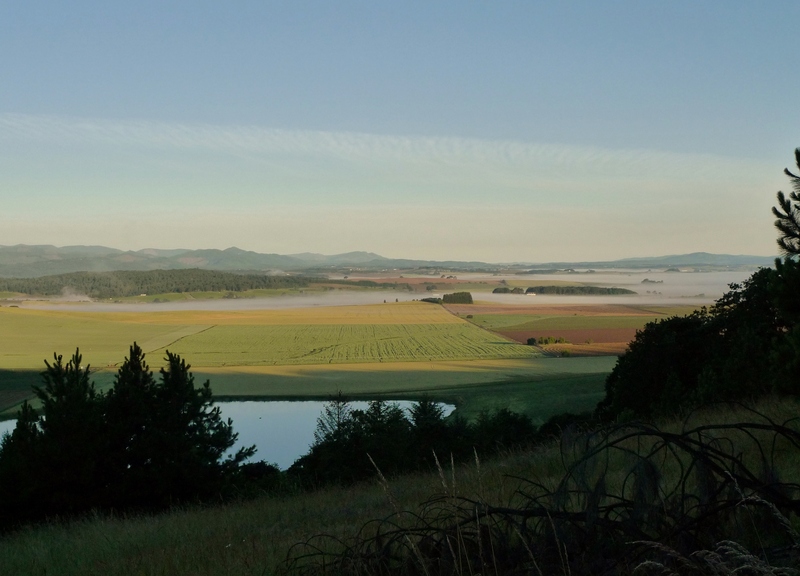 We moved Polk from having the 15th-most eBird checklists among Oregon counties to 11th place, in one weekend of birding. Finally, we birded in 21 out of the 27 Hotspot Squares (randomly chosen 1-square-mile sections). The weather was perfect for traveling through the fields and forests of Polk County on the day of the Birding Blitz. And, we found 15 species of waterfowl! The If-Lance-Armu-Were-A-Birder Award: Brandon Wagner, for birding the Coast Range on a mountain bike! The La Machina Award: Evan Jackson, for birding 12 hours without eating anything. We want to thank everyone who contributed to a great blitz!